As I was getting ready for my Nia class the other day, I thought “How cold is it?” I was trying to decide how to wear my scarf. 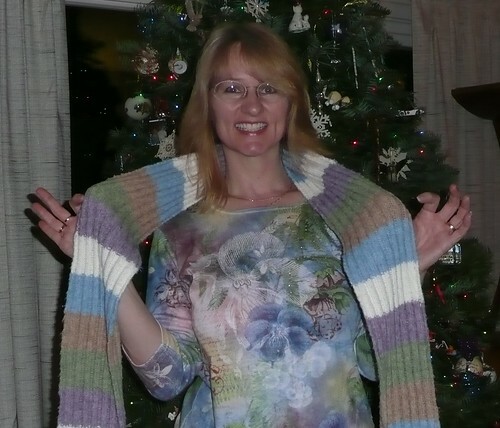 Then I thought this would be a great blog post because when I first learned how to wear a scarf I was amazed. Then as I grabbed the laptop to type this up I realized that a lot of my readers probably already know this because they are from colder areas than California. Maybe if you don’t live in the Bay Area then you might not know how we wear our scarves so I will be sharing that with you. A few years back I was getting ready to leave work, I hung my scarf on my neck then grabbed one end and started wrapping. My co-worker saw me and started chuckling when I asked her what she was laughing about she explained that people in California wear their scarves different from people back East. She was from back East and was accustomed too much lower temperatures. I was so curious. I had never thought about wearing my scarf a different way so I asked her to show me. She took my scarf, folded it in half, hung it around my neck and tucked the loose ends into the folded end. WHOA! I laughed. I instantly recognized how much warmer that is. 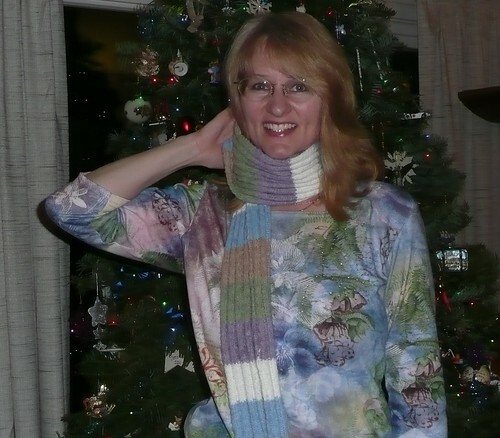 Here in the San Jose Bay Area – maybe all over California we wear scarves more as an accessory than for warmth. Then when we want to be warm we throw one end over our shoulder. If we want to be REALLY warm we wrap the scarf around our neck a few times. All of these methods leave our lower neck/upper chest area exposed. But when you fold then hang it around your neck then tuck the loose ends your lower neck/upper chest area get completely covered. It is so warm and cozy that way. I actually wear my scarves these two different ways. Usually on my way TO my Nia class I fold and tuck. On the way home because I am usually hot and sweaty from working out I just throw it over my neck and wrap. This helps me stay a little warm but not as warm as when I fold it and tuck it. So? What do you think? Did you know this? How do you wear your scarf? Do you wrap? Do you tuck? Do you do one or the other depending on the need? Folded in half then tucked. This entry was posted on December 18, 2010 at 11:52 pm	and is filed under Helpful Hints. Tagged: Bay Area Nia, California weather, cold weather, East Coast, Nia, Nia class, Nia San Jose, San Jose Bay Area Nia class, San Jose Nia, scarf. You can follow any responses to this entry through the RSS 2.0 feed. You can leave a response, or trackback from your own site. SIMON!!!! Love seeing you here!!!! So cool! I am amazed at the tuck method and how much warmer I am with it. I do pretty much as you do. I use both! Wearing the scarf correctly is somewhat less important than knowing where your sonic screwdriver is at. PS: Tom was my favorite. Cheers! But of course, thank you for that reminder. But I think you always need to have a towel too. So many rules when traveling in space and time! Yes, ma’am. ‘xactly the way you described being told from your colder weather friend is ‘xactly how I tie my winter scarves. Happy Holidays to you and Mr. John!!! Sigh, I wrote a reply and WP “ate” it. 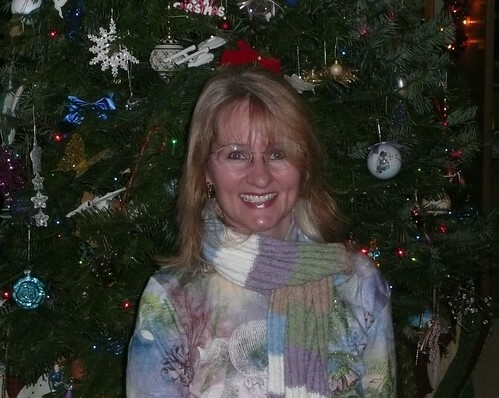 I think it is funny that here in the San Francisco Bay Area we wear our scarves more for fashion than warmth. Then to be warm we wrap. Your friend is right, it is for warmth more than fashion on the East Coast…however, now we’ve started wearing the thinner scarves as fashion statements with our blouses and then tucking the outer one over for warmth with our coats when we head outside, lots of layers! She taught me how to wear it for warmth. I can’t wear that many scarves I would lose one. You think you have a scarf? You are so funny. I have a lot of scarves, but I used to wear them hung on my neck, now I have two options. I lost one of my favorite scarves in Chicago. I was really sad. When I travelled I would wear a scarf for fashion, warmth, and it was my pillow. I lost it. Glad you love my pics. The first two I took with a self timer the last one my hubby took. I feel I haven’t been here in forever. And low and behold — I learned something! You haven’t been here forever 😉 and I miss you. Come back and tell us how it feels (wearing it the folded way) after you do it. It is SOOOOO warm. Sometimes I have to unfold and wrap. The fold technique is great. It was the ones that were knitted by Grannie I particurly liked on Dragons Den in UK. Those chunky knitware should be a fashion item for all!! Not aware of the scarves on Dragons Den or even aware of what that is. But I am away of chunky knitware and it SHOULD be fashion for all!